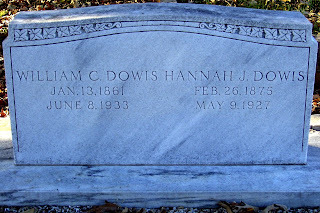 William Calvin Dowis (1861-1933) married Hannah Jane Burdett (1875-1927) and began their farming family in Atlanta, Georgia in the late 1800s. By the early 1900s, they had moved a short distance north to Duluth in Gwinnett County, Georgia. There they continued to farm and attended the Baptist Church in town. 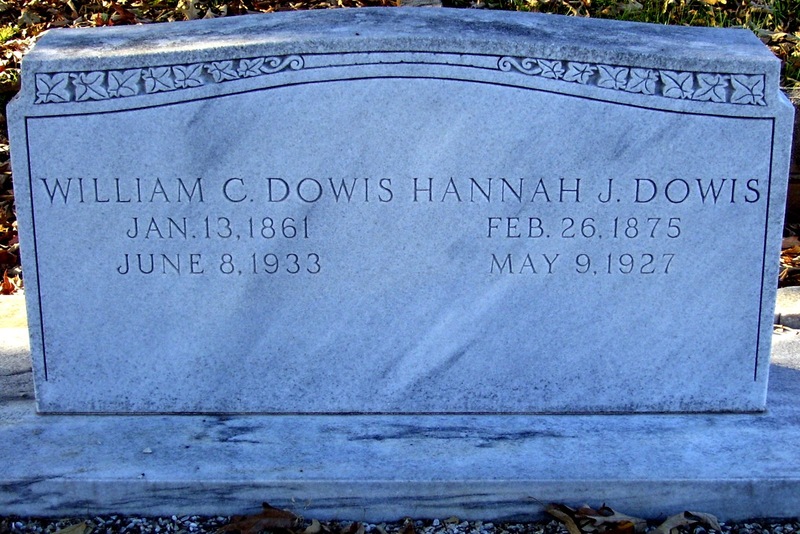 Upon their deaths, William and Hannah were laid to rest under the trees in the Duluth Baptist Church cemetery. In the far corner of their southern-styled, gravel covered family plot is a large marble memorial standing taller than the rest. 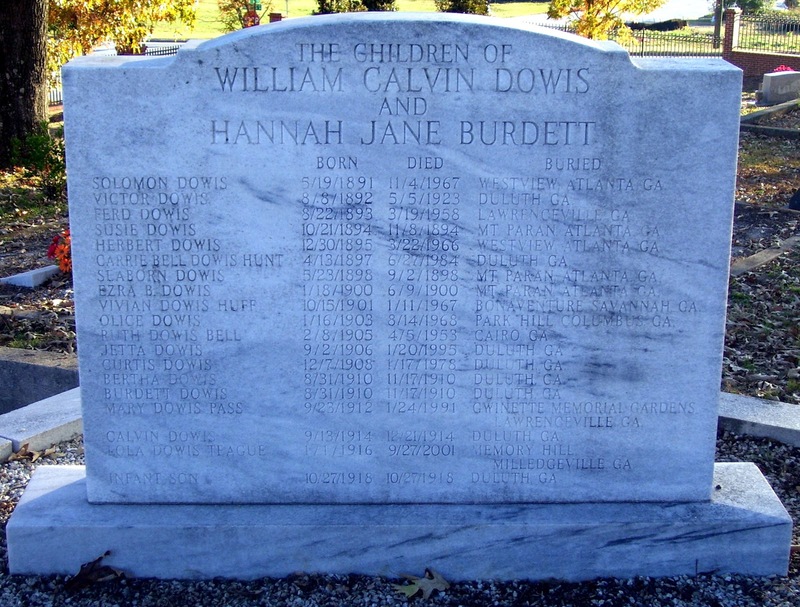 On it is a listing of all nineteen of the Dowis children. It seems Hannah started giving birth around the age of 16 and didn't stop until she was 43. Along with the children's names, their birth and death dates, as well as their burial locations are also recorded. It's a genealogist's dream discovery. William and Hannah raised Baptist preachers, military men, policemen, and teachers, just to name a few. I found it interesting that though some did move away from the family home, none seem to have left the state of Georgia (not without returning, at least). This family intrigues me; I might just have to learn more about them. Don't worry, I'll share. What a great monument with so much information provided. It would be a great help to anyone researching this family. Fantastic find, Stephanie! I want to visit that cemetery. BTW I love your new header. Just beautiful. Happy 'taphing in the new year! Great post! I can't even begin to imagine 19 children, but my father had 11 brothers and sisters. . . I've come across a few Dowis graves while walking cemeteries in Gwinnett - including one of the names listed on this stone. Now I see how prolific this family was, I wont be surprised when I find more. This is actually my family. And these stones were dreams to my grandfather who has become 'keeper of family records" so to speak, years ago when he found them. Its nice that some one with no family connection takes an interest in another family's story. I am glad I found this. I am researching my ancestors and this is a big help. Thank you so much. Glad the information was helpful, William!